When you disconnect what you do with purpose, your senses or joy, you dry out. Does your work feel like nothing but to dos that you don’t want to do? If you are working, you must be serving someone or no one would pay you. Who are you serving? Whose life are you making better? If you don’t like working where you are right now, how can you bring more fun or beauty into your work? Perhaps you can you organize your space, put something beautiful in the space or wear ear plugs to drown out annoying noise. Maybe you need an aromatherapy pillow. Can you notice how your character is improving in this situation or notice where you are growing? If you are parenting, Remember you are trying to bring up kids of character and responsibility instead of remembering that they are being a real pain right now. Seeing how you want them to turn out pulls you from the dailyness of taking care of kids. You can also try taking part of the parenting time to relax and play with them. So it’s not all work for you or them. When you do housework are you focused only on, “I have to do dishes AGAIN?” or do you see the outcome of the clean kitchen. Think of how you are nurturing you and your family. Or enjoying creating beauty. You can allow yourself to gaze for a second or two in appreciation of the newly polished kitchen table. Using natural cleansers with pleasant scents makes cleaning more enjoyable. As does music. As you go throughout your day, keep asking, “Where is my heart?” Bring joy, beauty or purpose to whatever you do. Then see if your life is juicier. If you need help finding the time or losing the guilt for self-care, get my Simple Self-Care eBook. Work tends to be a place where we forget self-care and self-compassion. We get into doing mode. We strive. We try hard. Our focus tends to be outside ourselves. Whether it’s a job, working from home or tackling kids and the house. So I think we all need a self-care box where we work. I keep mine in one of my desk cubbies. I’ll put what is in my self-care box, but you put in what nurtures you. Now the box doesn’t normally have all those things sticking out of it, but I thought you could see some things better that way. Mine also has a clip on the outside to clip positive quotes, affirmations or new habits I am working on. What would feel like self-care to you? Just 30 seconds with one of the above items can change how your energy. Need a refresher on taking care of yourself? Enjoy my Simple Self-Care eBook. Are You Holding Too Much? I was on a renewing retreat this weekend. I came in feeling tight and heavy. I told the retreat group that my intention was to loosen up and let go of tightness. Through meditation, journaling, prayer and conversation I came to realize I had been taking on other people’s responsibilities energetically. I wasn’t just trying to do good work with my clients. 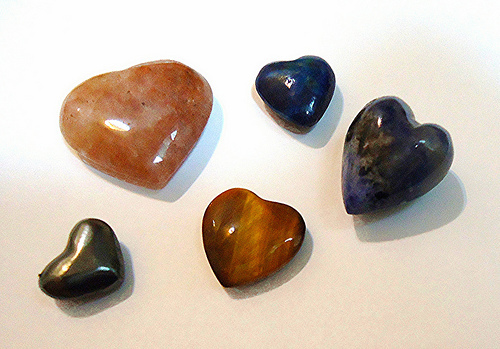 I was feeling their emotions, managing their visions and bringing on their energy. With family and friends I was trying to control outcomes and emotions. By the time I got to retreat, I was holding onto so much of other people’s energy, I felt burdened and heavy. 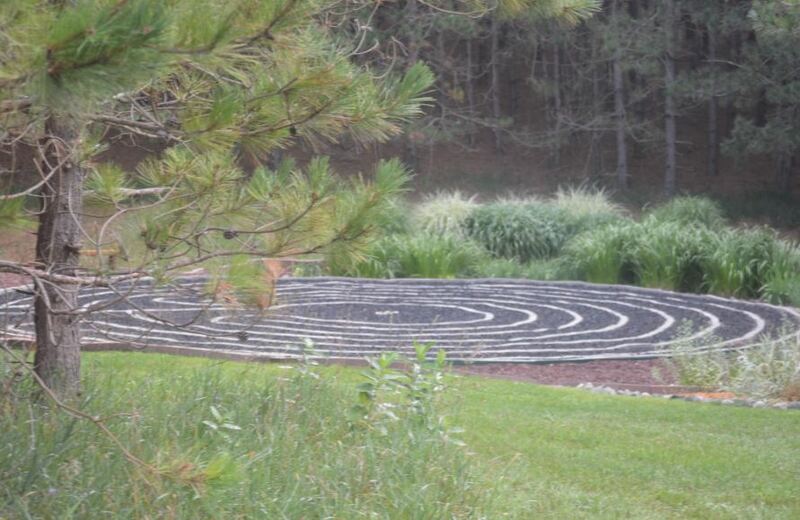 At one point in the weekend, on a quiet morning by the pond, I walked in the labyrinth. I took a snowflake obsidian stone with me thinking it would be a good reminder of my time there when I saw it at home. I had purchased it about two weeks before. I walked the path saying, “I release” “I surrender” “I trust” to keep my mind from wandering. When I entered the middle of the labyrinth I saw a pile of stones and pinecones others had left. “I should put my stone their as well,” I thought. But, I had a clear intuition that I needed to put the stone down on the pile. Reluctantly I did. A whoosh of lightness and freedom came over me. Let go, let go, let go I kept hearing. The picture of me releasing the stone would be a far better picture for me to remember than keeping the stone. I knew it felt safer trying to manage other people’s emotions and energy. I had taken on the responsibility that wasn’t mine. I did need to surrender, trust and release. So throughout the weekend I let go of feeling responsible for others in that way. And realized I WAS responsible for my care and my radiance. I am in charge of my well-being, emotions and energy just as they are to theirs. When I got home I could feel my radiance returning and will be mindful about taking other’s responsibilities. I added some more self-care time to my calendar. I am doing evening yoga and releasing what isn’t mine at the end of each day. How about you? Are you feeling burdened by other people’s energies or by trying to control? What are you holding onto that isn’t yours? 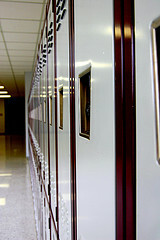 Don’t wait until the last minute to get prepared for back to school. Use this checklist to start school organized and confident. Start about 14 days before school starts. I wrote how getting a new TV spurns more projects and the projects kept growing. One project it led to was creating an exercise room. The living room was looking so streamlined and serene after the extra decluttering from removing the entertainment center, that I no longer liked my exercise stuff there. 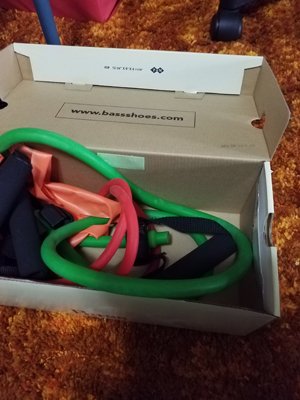 I’ve had my exercise things in the living room because I didn’t want to wake my daughter during my early morning movement. But, she moved out in December so it was a perfect time to create the exercise room. I had been exercising upstairs anyway, but most of my equipment was in the living room. It’s really more like exercise part of an area upstairs rather than a room. It’s in an area that connects the three bedrooms upstairs. It also houses cat toys, a craft table, the DVD and CDs and a computer. 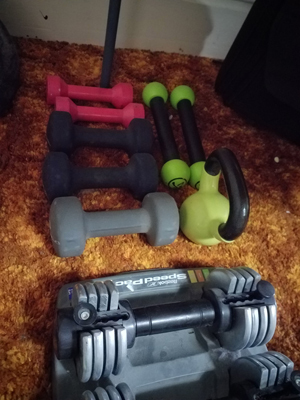 1) The first thing I did was bring my weights upstairs and put them under the craft table. That was exercise in itself. 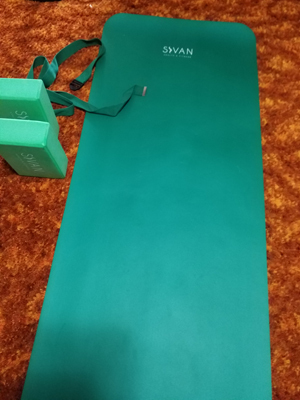 2) I keep my yoga mat out so I can do a little yoga before bed or throughout the day, not just morning. 3) On the computer desk I put some fitness books plus pilates and yoga cards. 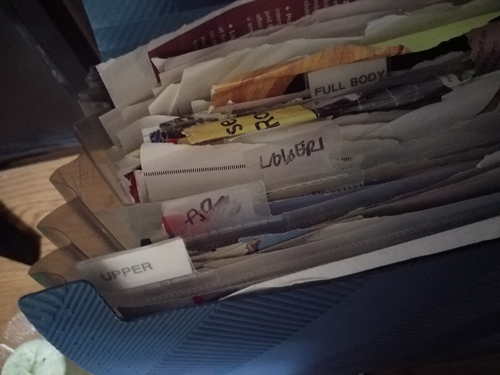 I decluttered my exercise accordion folder with exercises ripped from magazines categorized by what type of exercise ie upper, full body, cardio, yoga, etc. On my computer I bookmarked Yoga with Adriene and BeFit in YouTube along with a couple courses I bought from Daily OM. 4) Next to bring upstairs were my dance DVDs, Zumba, P90x and other exercise DVDs. I got rid of the last few VHS tapes as our tape player no longer works, to make room for them in our DVD movies/CD collection. 5) I found a shoebox for my bands and put that under the craft table as well. I don’t have any big equipment like treadmills or ellipticals. I know myself and would get bored with them too fast. But, I would have room if moved the yoga mat. I do much of my cardio outside with walking, hiking, swimming and Groove classes. Your exercise room or area would have what you love to do for exercise. One of the first things I do in the morning is exercise, so now I have it all in one space. I have been re-invigorated by equipment and DVDs I had forgotten about. I love having my yoga mat out all the time. Is this a beautiful and fancy room? 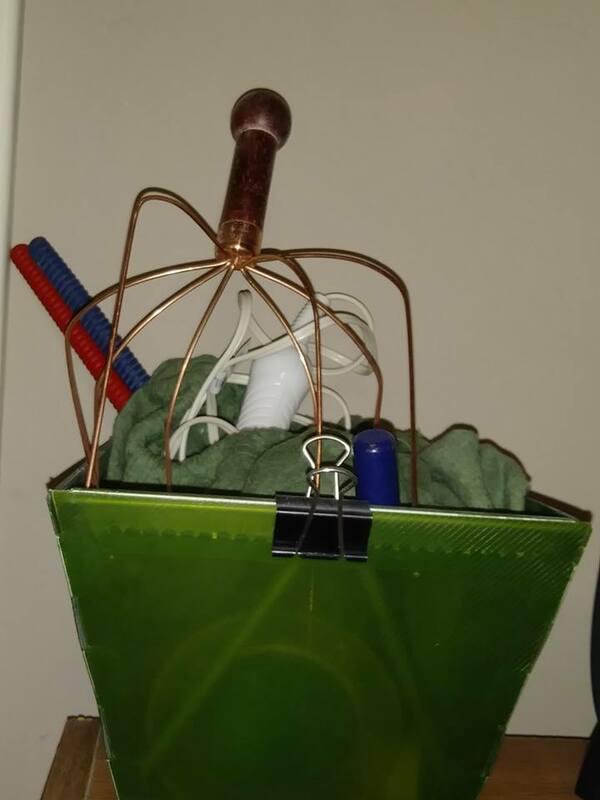 No, but it’s functional and has a fan. It helps me exercise more. I am very happy with my new space. What have you been wanting to do more of in your life? Do you have a space for it? Want motivation to start and complete that project? Join the next Project class. My husband and I got a new TV when we could no longer read the text messages and subtitles on our 32″. What I thought would be a simple replacing the TV project turned into other projects. We had to get a new platform for the TV and release the bigger entertainment center with all the cubbies. Which meant everything in the cubbies had to move. I started by taking the books from the bedroom upstairs. I had to declutter a bunch of books from various bookshelves so all of them would fit in the current bookshelves. Then I was able to put the photo albums from the cubbies into the bedroom shelves. Now had to to put the games from the entertainment center elsewhere, decluttering some of them. Much of the rest of the entertainment center cubbies were brought into my office, so I needed to organize and declutter there as well. 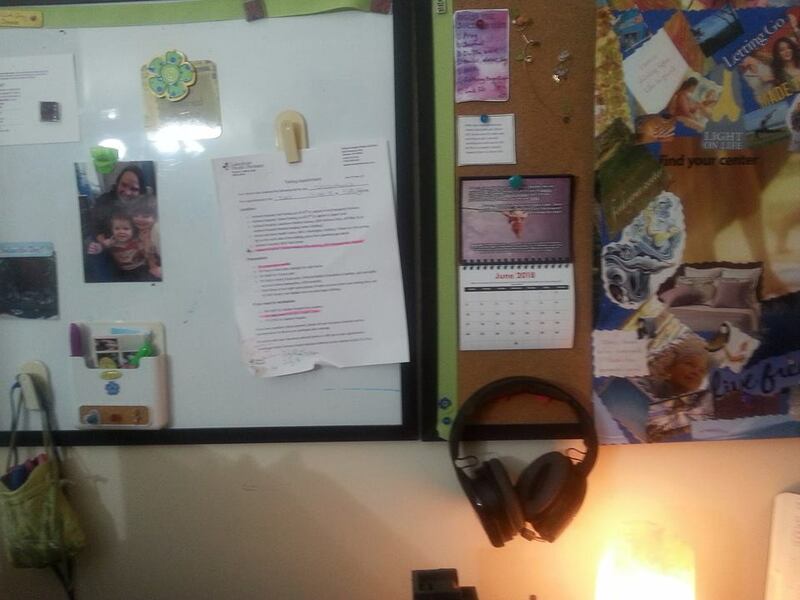 Once I organized all that stuff and that area looked serene I wanted to organize and declutter the rest of my office. 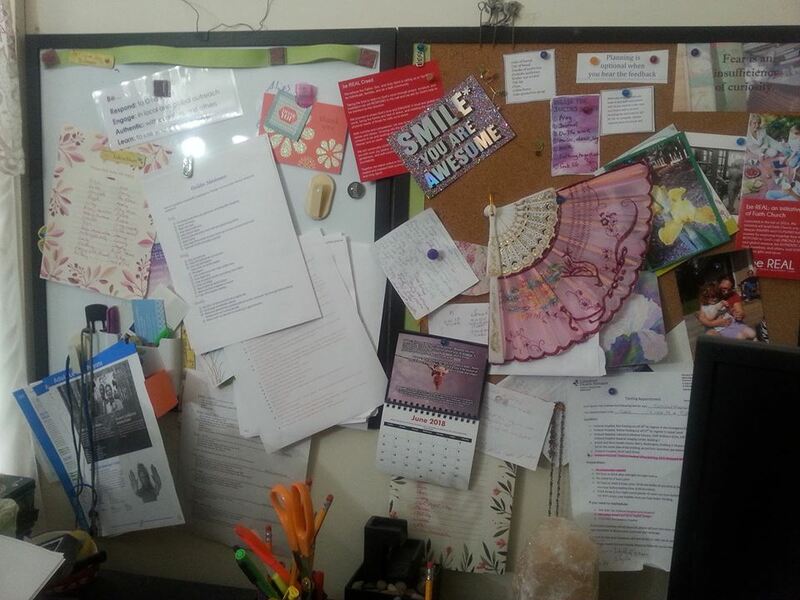 Going through desk cubbies, cleaning out my self-care box, updating my menu planner, clearing off the bulletin board. 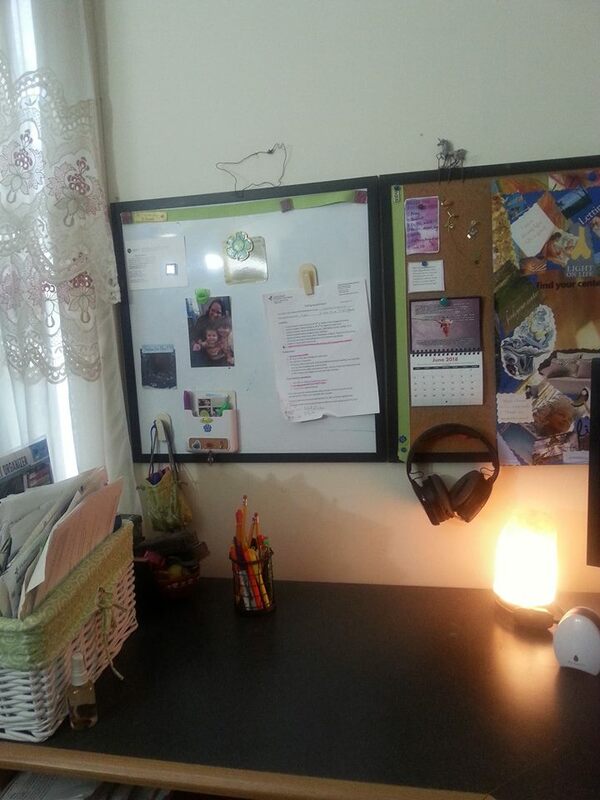 Below the cubbies is my 3-hole punch, matches, essential oil basket and inbox. Have you noticed that projects to upgrade your space tend to produce more projects? Soon more and more things are looking spacious. The trick is to finish one of the projects before moving onto the other. If you have been stuck with a project come get support and fun by doing it with the Pleasant Projects group. Or if you need help focusing for your projects. So many migraines that month. So I was extra hard on myself regarding my health. “I shouldn’t have eaten that.” “I should have gone to bed earlier.” “I should have exercised.” “I shouldn’t have exercised.” Like many health things you don’t know till after the result. When I fall into the should trap, I know I am in trouble. All that self-talk was making me feel like an unhealthy person that makes unhealthy choices – despite having really good numbers from the doctor a few weeks before. I decided to look at my healthy choices instead to reframe how I look at me and my health. Just the other morning I was up early, made a smoothie, walked the beach giving a big smile and good morning to everyone I passed by. I wrote this on a bench overlooking the channel doing quiet time. I thought about all the fruits and vegetables I eat and how I exercise regularly. I take my vitamins regularly and always floss. I go to the chiropractor. Seeing ourselves in a new way is the first hurdle of change. So I thought about how I would act if I saw myself as a healthy person who makes healthy choices. How would you? I was walking the wetlands. Three girls came running and shrieking by, probably scaring all the wildlife away on what I hoped would be a peaceful walk. I felt the annoyance crawl up my stomach to my throat. How could they be so rude? Where are their parents? Then I passed them on a bench they decided to sit on. They were looking so cute. I remembered that age. I spent time running and yelling outside much my youth. Instead of annoyance I had warmth in my heart. We are so quick to judge, snark and criticize. It seems we don’t allow imperfection anymore – at least of others. We are taught to have self-compassion for ourselves at the same time assume that we are right. So a person can be brought down by one inartful statement or video showing their worst moment. The next time you feel that “I am right, I can’t believe you did that. How could you?” ask when you have done or said something similar. Even in our thoughts. None of us are perfect. We can be human together. I was writing this in the car after my walk with my windows open enjoying the summer breeze. Then a car pulled up playing rap music loudly with the bass up. I started getting annoyed again briefly before remembering that just yesterday we were playing 80’s music in the Jeep with the windows down. I let go of the tension. I love the feeling in my body when I think of others with kindness. It’s like the idea that you should only surround yourself with positive people. But, aren’t most people negative sometimes? Maybe the negative person needs a positive person around and your job is to be that positive person. You might be the only positive person in their lives. Where do you see yourself judging others? We need to give grace to others. Our world desperately needs more of this. I forgive…forgive me… are words to live by. I wasn’t even going to walk the wetlands. I had woken from a nap after another migraine hit. Daily for the past two weeks. But, my inner voice said to go. The wetlands were cool, sunny and green. And loud. The red-wing blackbirds, robins and little yellow birds were tweeting. The frogs were making their deep trombone noise. Even the swan made a long, low call I hadn’t heard before. Why couldn’t I speak? Where in my life wasn’t I speaking? I hadn’t expressed or sat with feelings around Mother’s Day. First without my Mom, 7 without my son and my cousin 10 years younger than me died that same week. It was unexpected and he was a sweet, gentle, funny soul. My voice refused to sing two songs at choir Mother’s Day morning. I didn’t want to sit with any of the losses, but sit I did. On the couch with my ice pack on my head. But, I wasn’t processing a thing. I wanted to go to the funeral in St. Louis the weekend after, but the migraine kept going. I even got a shot from the doctor. Finally, I spoke to a friend over lunch during that 8-hour break from pain the shot gave me. And the migraine still came back. I was mad at myself, my body, my migraine. Everything was betraying me. I was alone Friday night and read various books on healing. I did the Calm Body Meditation by Sandy Newbigging. He was saying many health and other problems were due to your conflict with what is. Your resistance. I was so tight. I was resisting everything. I had to say I was willing to have my migraine. I was willing to have the feelings of sorrow. I was willing not to do what I want and drive 5 hours in the car. As I let go of resistance, my body felt freer, looser. I woke up with a migraine again on Saturday morning, but I did some Calm Meditation and being with things. It went away until evening. Instead of pushing through to do stuff with my migraine, I allowed myself to take a nap which it seemed my body wanted to do. An hour later I was up enjoying nature and the sound of birds. A reminder to listen to that inner knowing, notice what I am resisting and express what I am feeling. Yesterday morning I was walking along the beach. My grandpa loved to sail so I always look at the boats in remembrance. There are always many more boats at shore, than in the water. 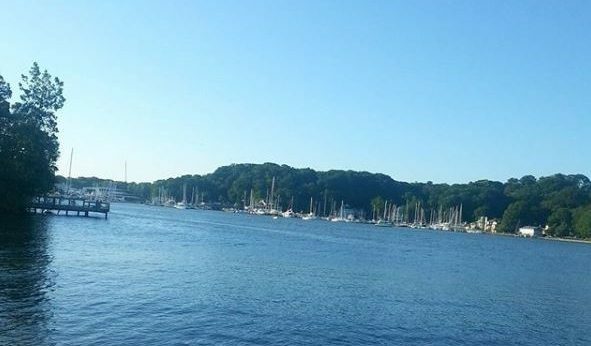 When I mentioned that to my husband he said that from growing up around here, he’d see people come in from Chicago just twice a year to spend a weekend with their boat. Even the smaller boats like his co-workers have are not taken out much. I told him that if we had a boat we would take it out every weekend. Then I thought about the blowup kayak which has not seen much use or the tent or the picnic basket. It’s time to take them out. Let’s use our fun things. Mark on your calendar so every year it comes up to schedule time with the boat, go-cart, fishing rods, or whatever it may be. I will also watch when I buy limited use, seasonal items. To make sure I have the money AND the time to use them. I already nixed the idea of a porch swing. It sounds nice, but I know I won’t use it much and we don’t have anywhere to put it. What can you play with this weekend?